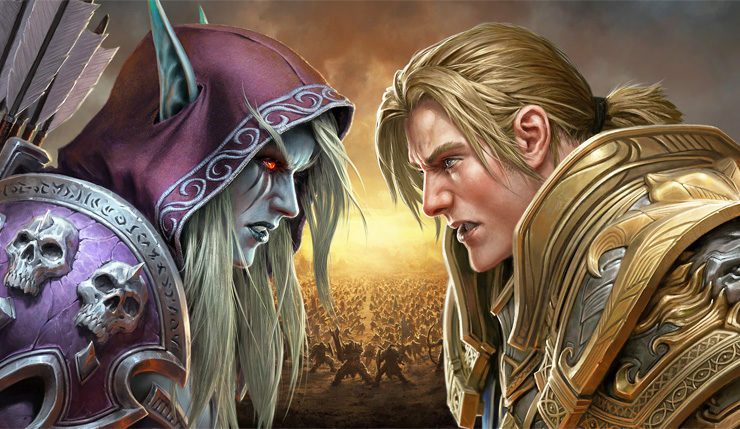 Get ready to choose sides all over again, as the Alliance/Horde conflict begins anew this summer in World of Warcraft: Battle for Azeroth. Blizzard has just announced a release date and physical Collector’s Edition for World of Warcraft’s anticipated seventh expansion – you can check out a new trailer, below. 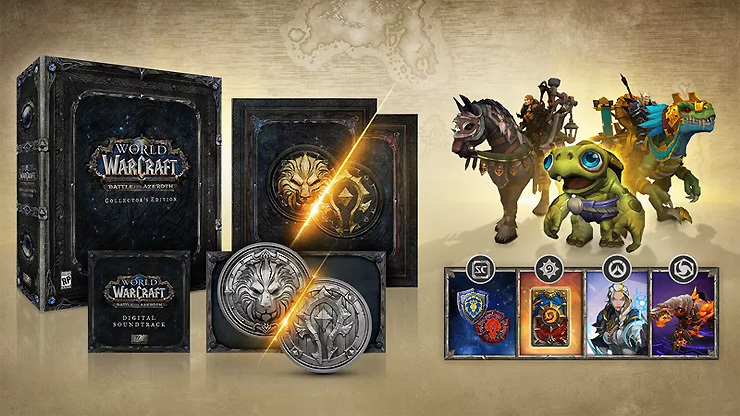 The Battle for Azeroth Collector’s Edition includes all the Digital Deluxe Edition goodies (exclusive mounts, a pet, and a character boost to level 110) as well as an Alliance/Horde “storybook” novella, a shiny double-sided Mark of Allegiance medal, an exclusive soundtrack, and, of course, a big ol’ box to keep all your swag in. Blizzard hasn’t revealed a price for the Battle for Azeroth Collector’s Edition yet, but the boxed version of Legion cost $90, so you can probably expect the pricing for Azeroth to be in the same ballpark. Battle for Azeroth adds two new island continents (Kul Tiras and Zandalar), 20-player PvE “Warfront” battles, new allied races for both the Alliance and Horde, island expeditions, and the usual assortment of fresh raids and dungeons. World of Warcraft: Battle for Azeroth launches on PC and Mac on August 14. The Collector’s Edition is scheduled to hit store shelves on the same day. You can pre-order the expansion (which gets you that all-important level boost for free) right here.